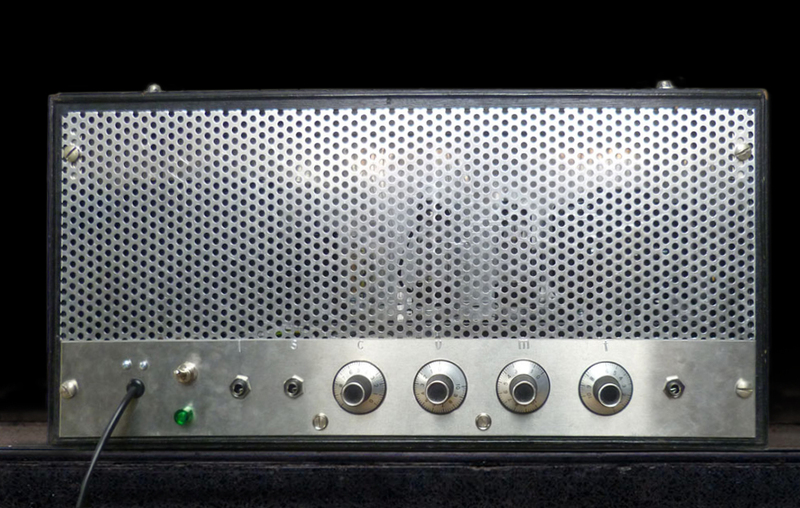 This amp takes the concept of the original Bass Buddy to another level. Physically, it’s larger obviously, but also the transformers and tubes are able to put out around 75 watts. Coupled with an efficient 15 speaker and a great old JBL Cabaret cabinet this amp is perfect for small to medium sized clubs and a vintage 60’s sound. The same optical limiter from the original Bass Buddy allows for a thick, distortion free bass tone. The case was originally a piece of test equipment and includes a nice wood cover that makes a great addition for touring.